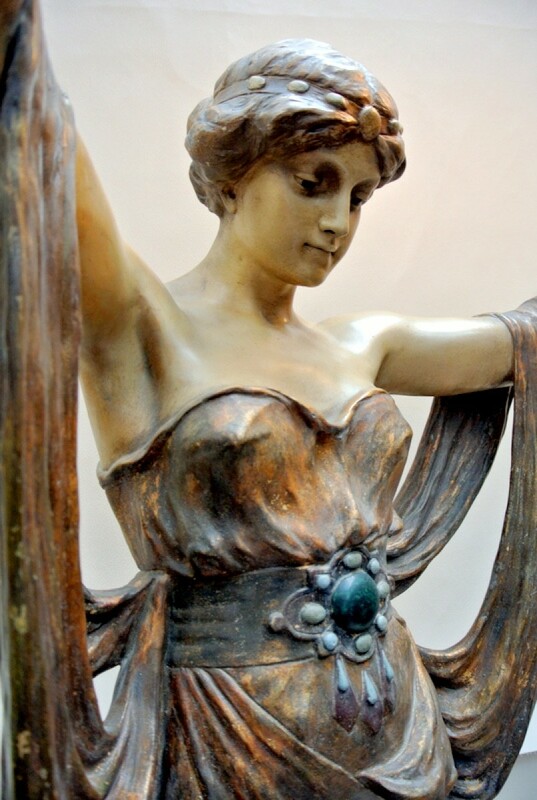 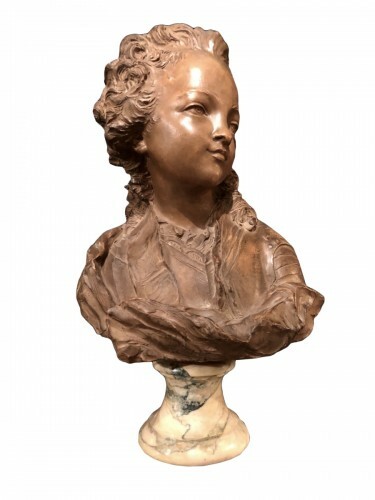 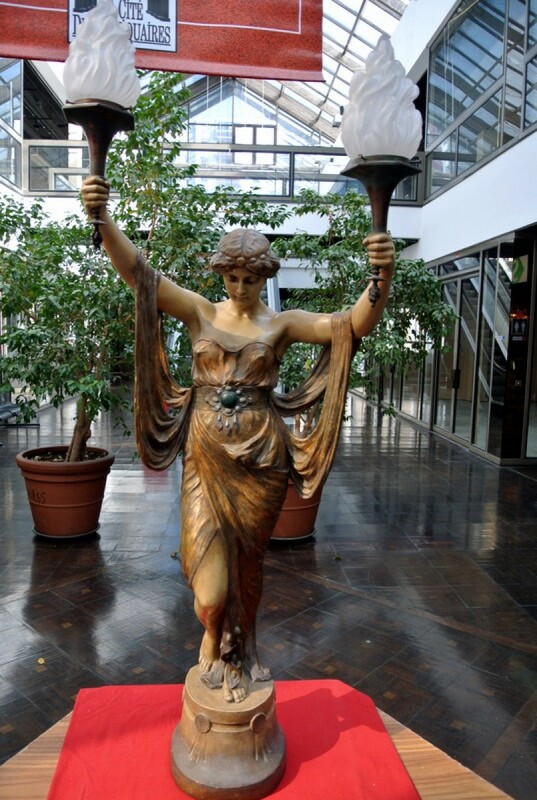 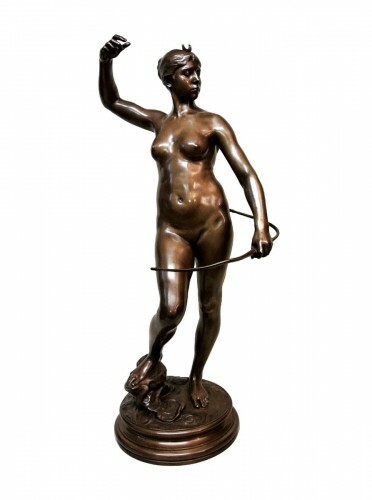 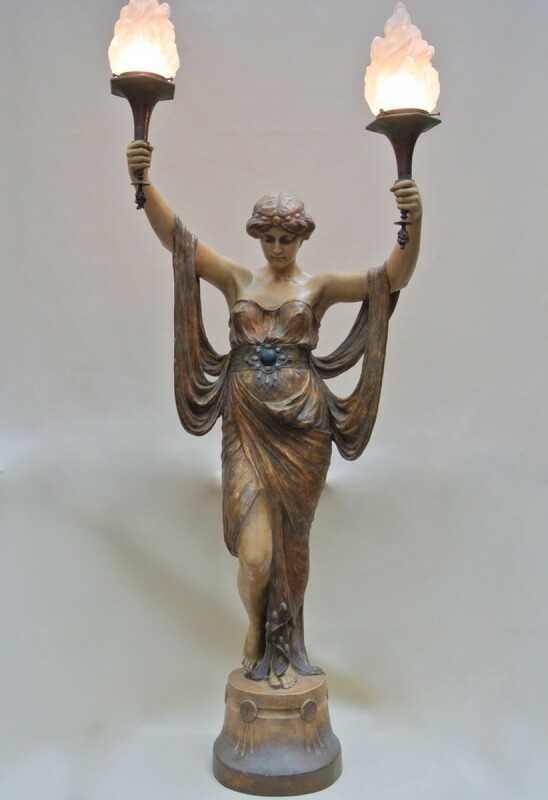 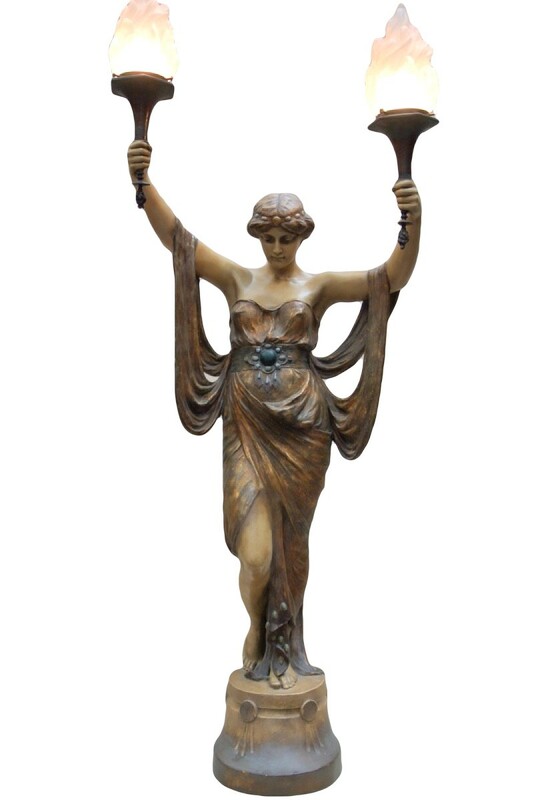 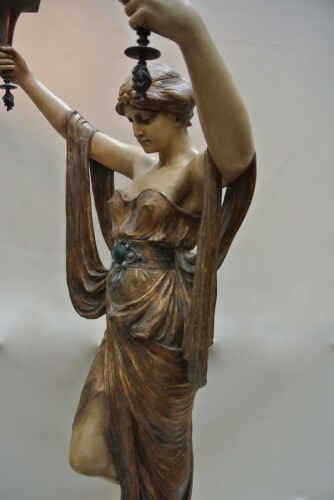 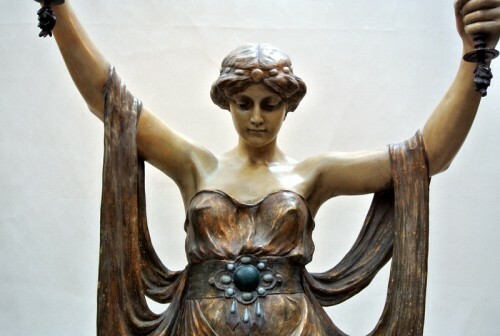 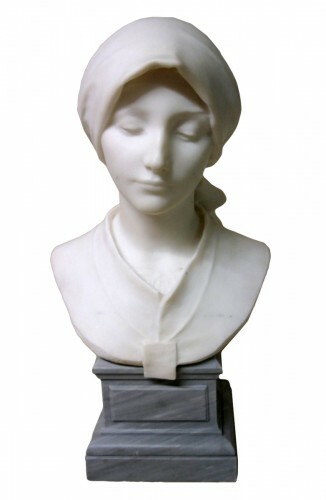 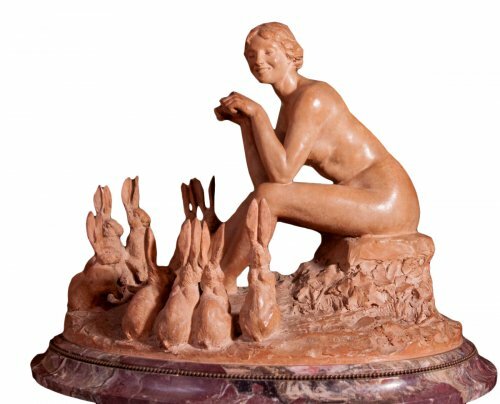 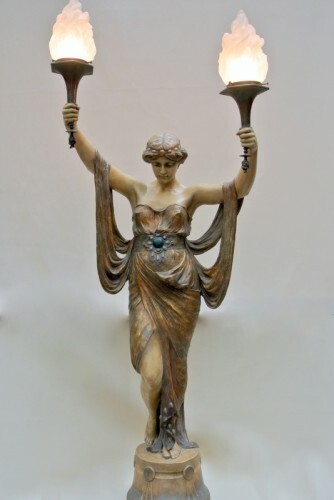 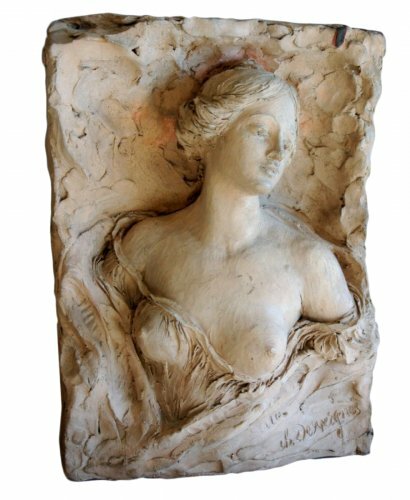 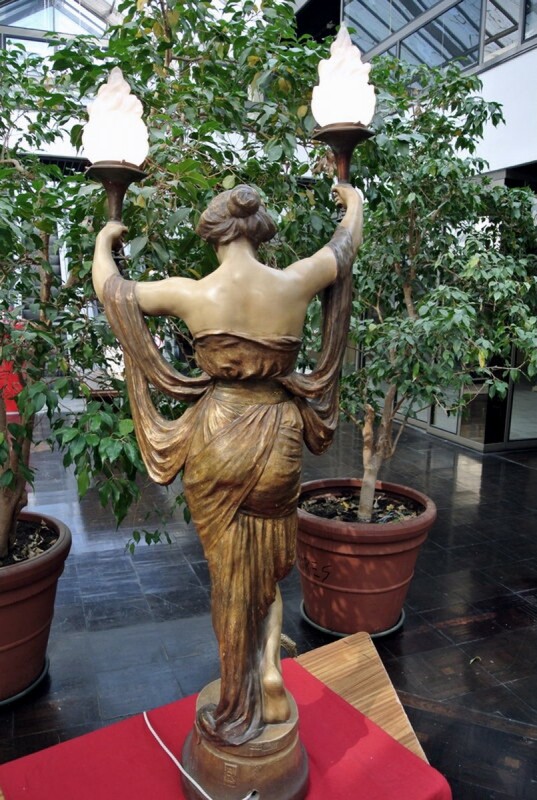 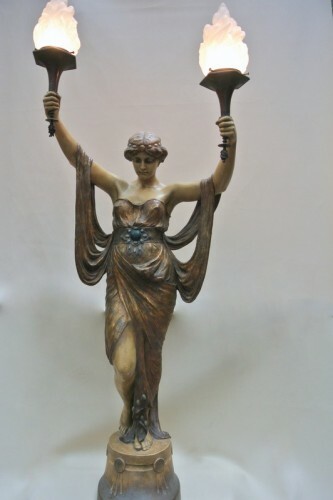 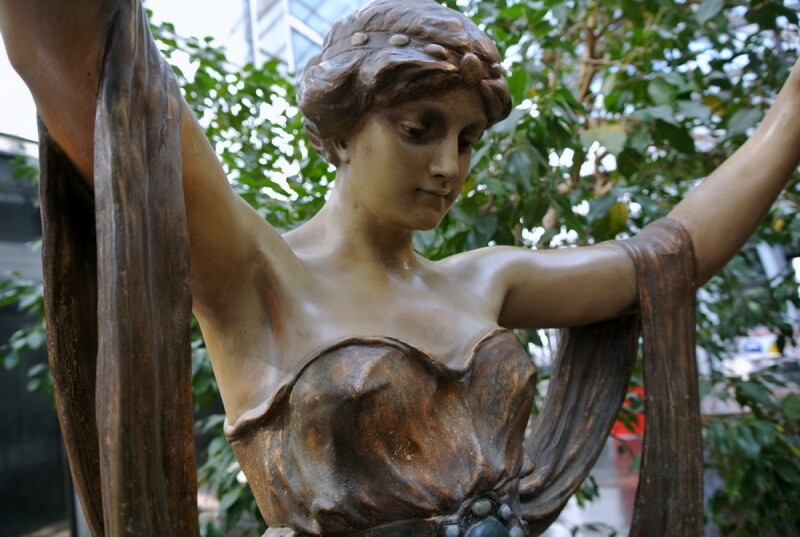 Terracotta Statue of early 20th century (Art-Nouveau), produced by the Austrian Manufactory Goldscheider, representing a young woman wearing two torchieres. 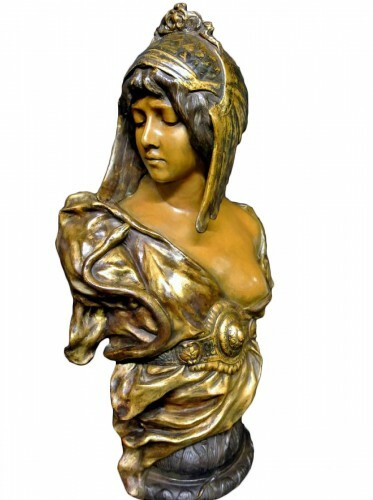 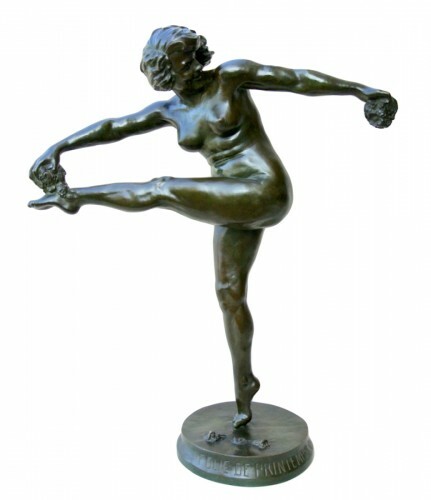 A similar model appearing in the catalogue presented by Ora Pinhas is dated 1905. 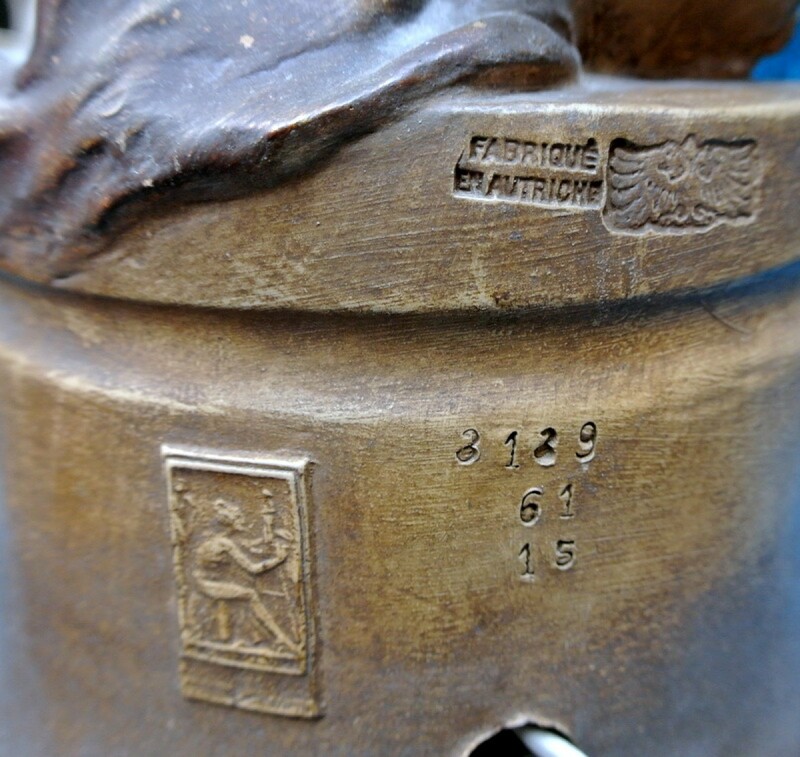 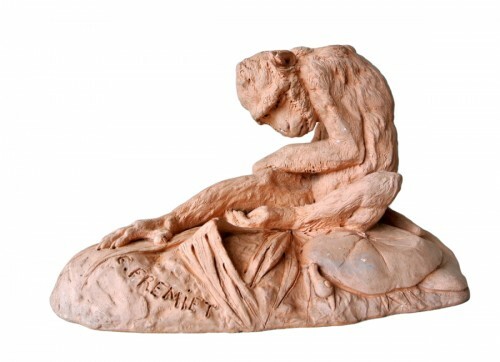 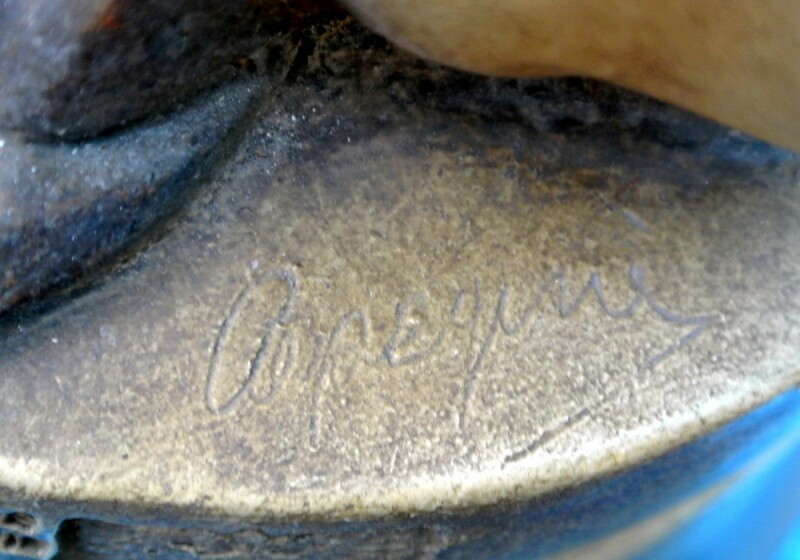 Presence of all the source stamps on the base and a signature. 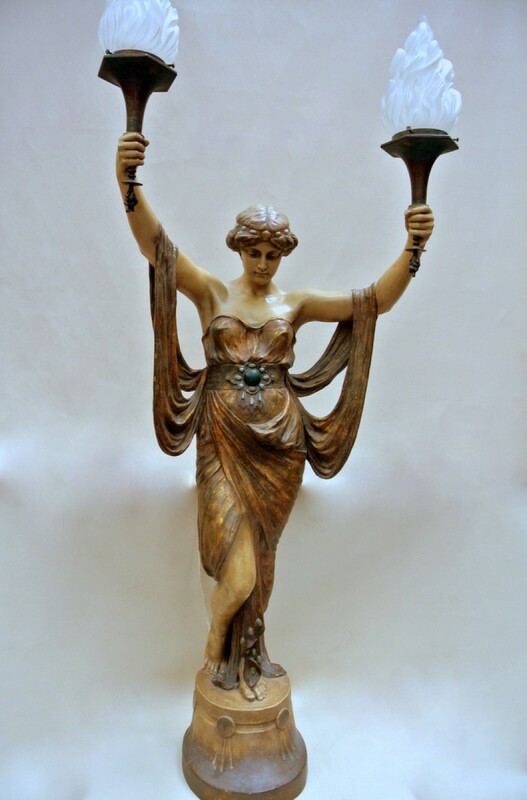 Patina Polychrome in beautiful condition according to its seniority, lack of restoration.